The decision to close three quarters of the Burger Works locations is part of a bigger strategy. Red Robin plans to rebrand the smaller restaurants as a better complement to their full service locations. Evanston’s Red Robin Burger Works permanently closed its doors on Friday as part of a plan to close all five of its Burger Works locations in the Chicago area. The closing at the 1700 Maple Ave. location was a direction from higher-ups, Downtown Evanston executive director Annie Coakley said. “It has nothing to do with the Evanston market. It’s a corporate decision,” Coakley said. 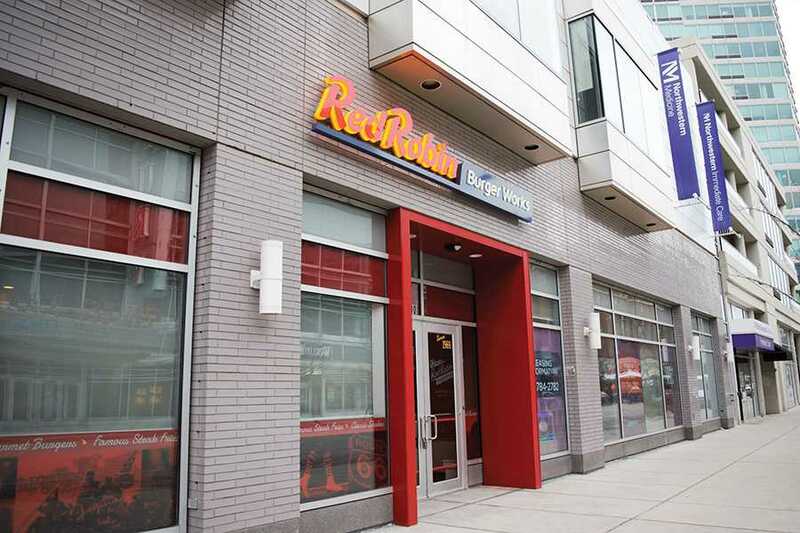 Red Robin Burger Works in Evanston opened in March and primarily competed with Epic Burger, a burger shop that opened in January, Coakley said. Red Robin occupied the space once filled by Borders, a discontinued bookstore chain, within the Church Street Plaza. The restaurant was one of 12 Burger Works restaurants, which are smaller Red Robin sites focused on quick carry-out and delivery service. Only three remain open today, Red Robin spokesman Kevin Caulfield said, but they aren’t closing the entire chain of Burger Works restaurants. The Burger Works concept was introduced in 2011, and the Evanston location joined four restaurants in Chicago. Of the three remaining Burger Works sites, two are in Denver, Colorado, and one in Clackamas, Oregon. The location in Evanston closed on Friday along with the four restaurants in Chicago, two in Washington D.C, one in Fort Collins, Colorado, and one in Boulder, Colorado. Red Robin is dedicated to learning how to make the Burger Works idea succeed, Caulfield said. Tags: Annie Coakley, Borders, Chicago, Clackamas, Denver, Downtown Evanston, Epic Burger, Fort Collins, Kevin Caulfield, Lauren Duquette, Maple Avenue, Northwestern Medicine, Red Robin Burger Works, Washington D.C.